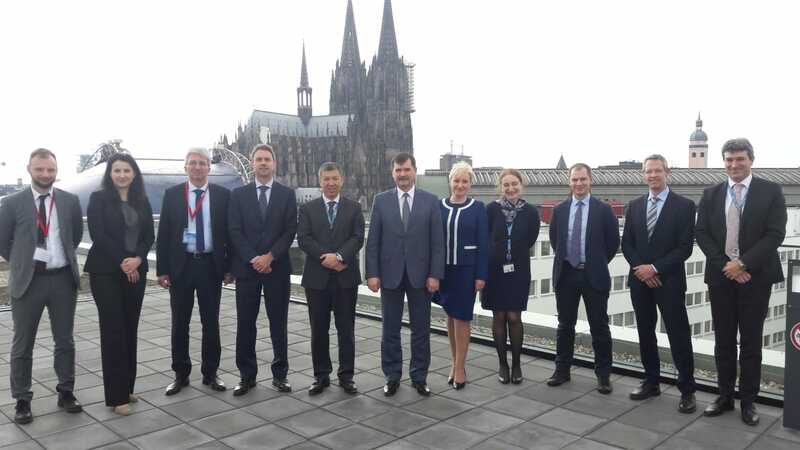 On 27 March 2019 Alexander Neradko, Head of the Federal Air Transport Agency of the Russian Federation (FATA), held a meeting with Patrick Ky, Executive Director of the European Aviation Safety Agency (EASA) at the EASA headquarters in Cologne, Germany. Representatives of the Ministry of Industry and Trade of the Russian Federation and the Permanent Mission of Russia to the European Union participated in the meeting. During the discussion the parties confirmed their mutual interest in developing and strengthening cooperation in the field of certification and validation of civil aeronautical products, including the perspective MC-21 aircraft and PD-14 engine designed for it, and exchanged views and information on issues of mutual interest. Earlier, in January 2018, FATA and EASA signed a Working Arrangement on Airworthiness, and from May 2018 to January 2019 paid mutual evaluation visits within the framework of the agreed Roadmap. Short-term plans include signing Implementing Procedures of the above-mentioned Working Arrangement.